Creation Technics, is a reliable Smart Card Reader Manufacturer, Exporter & Supplier. We are capable of delivering a wide range of readers as per your requirements. Our ranges of RFID readers are extensive with Low Frequency readers, High Frequency readers and Ultra High Frequency readers. We also have Active RFID readers. We supply HF contactless card readers and contact card readers. The contactless reader is perfect for secured personal identification as well as micro-payment transactions. Amongst the many uses of this reader is e-payment, e-ticketing, access control, mass transit. Network authentication and toll road fare collection. Contact Smart Card Reader and Writers involve insertion of card into the card reader for data transmission, with the contact being a small contact plate. 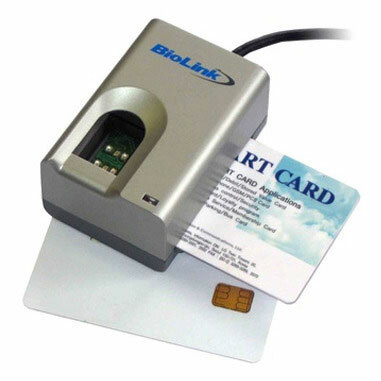 We are highly experienced Smart Card Reader and Writer supplier in Delhi, with a long list of clientele. We are a reliable source of passive and active RFID [Radio Frequency Identification] reader. The active readers have their own built in power source and get the energy from active RFID. The passive Ultra High Frequency readers are used for longer read ranges. Smart Card Reader and Writer dealers can contact us for supplying them the passive HF readers and passive LF readers for varied read distances. We make it certain that all the global quality standards are in place in manufacturing of Smart Card Reader and Writers so that your confidence in us in supplying the best cards remains intact. With us, you are doubly assured of the quality parameters as well as the services. Smart Card Reader enables you to read the data stored in a smart card so that you can perform transactions. You have to plug your smart cards into readers to have access to the data. The smart card technology is becoming popular for its advantage of being a security measure from unauthorized users. The card and the reader send and receive messages and identify each other. If the information exchanged by smart card and the reader do not match, they stop functioning and the transaction does not take place for security concerns. We can supply one to four port RFID readers, fixed RFID readers, Handheld RFID reader, Mobile RFID reader and wireless RFID readers for communicating with external networks such as cellular and WiFi. We supply Smart Card Reader and Writers for contact card, contact less card, hybrid card, proximity cards and many more to extract information from them for transaction purpose. So, get in touch with us and get started to ensure supplies of high quality Smart Card Reader and Writer as per your requirement.